I know I write this every time but the days, weeks and months are whizzing by and we are already heading towards the end of the academic year. I am currently basking in glorious sunshine, the corridors are echoing with ‘Let It Be’ and it is quite extraordinary hearing four and five year olds singing along to The Beatles! Spring has certainly sprung around the school and this week the Reception children have visited the Genevers’ farm in Uffington to see the new-born lambs. This term the children read the story of 'Togg and Leftover', which is about a caveman who finds an egg left over from the days of the dinosaurs and, miraculously, the egg hatches to produce a dinosaur baby! This topic then led to the children acting out the story in the forest, pretending to hatch their own baby dinosaurs and build shelters for them! 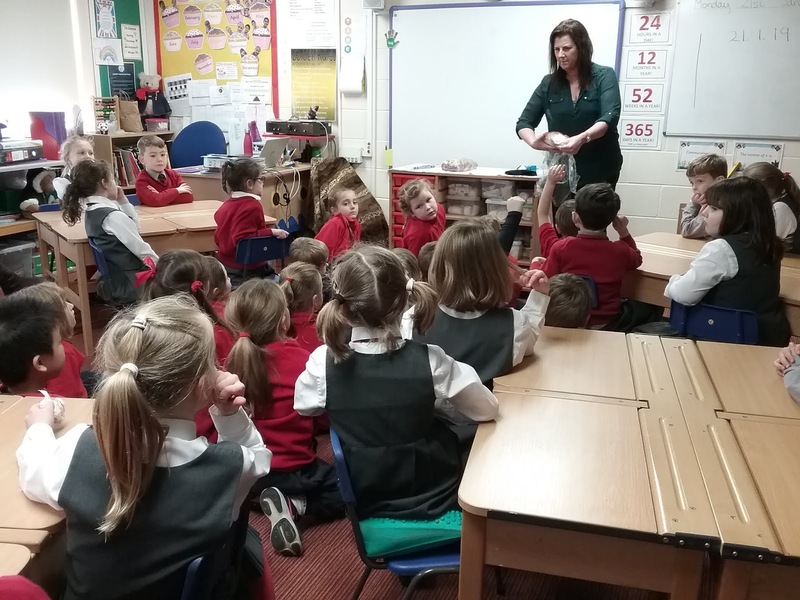 This theme nicely links to the work our Year 1 children have been doing and what a treat they had when Judy Brulo, a children's author, came to visit. 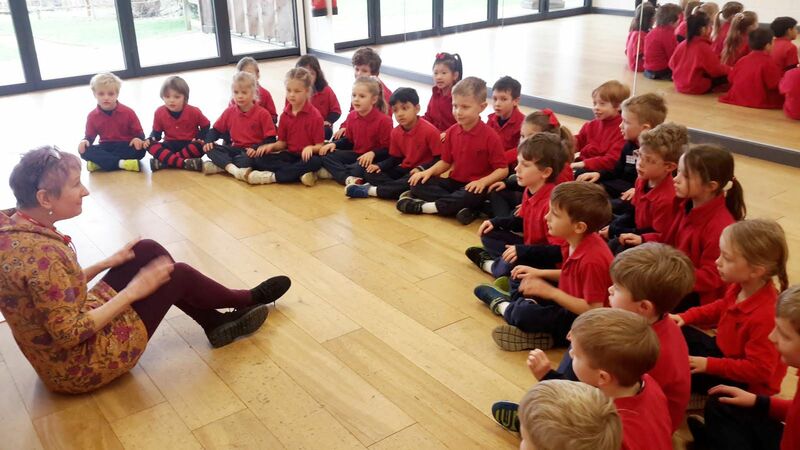 Judy introduced the children to Brack, the brachiosaurus character in her books, and they had lots of fun exploring the character and his adventures. Year 2’s most recent topic has been out of this world as they enjoyed an incredible visit to the National Space Centre in Leicester. 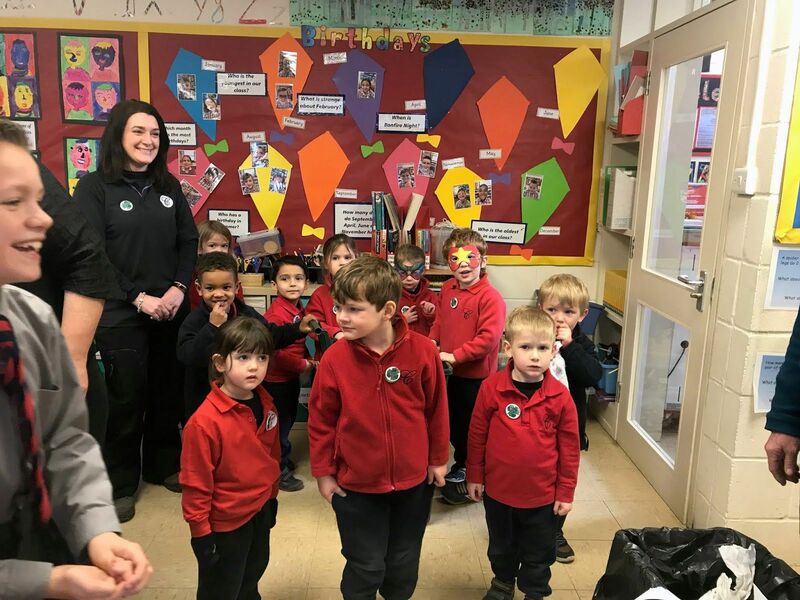 They learnt about the different planets in the solar system, recorded a live weather report and the planetarium was a cosmic experience explaining the rigid programme that astronauts have to go through in preparation for space. 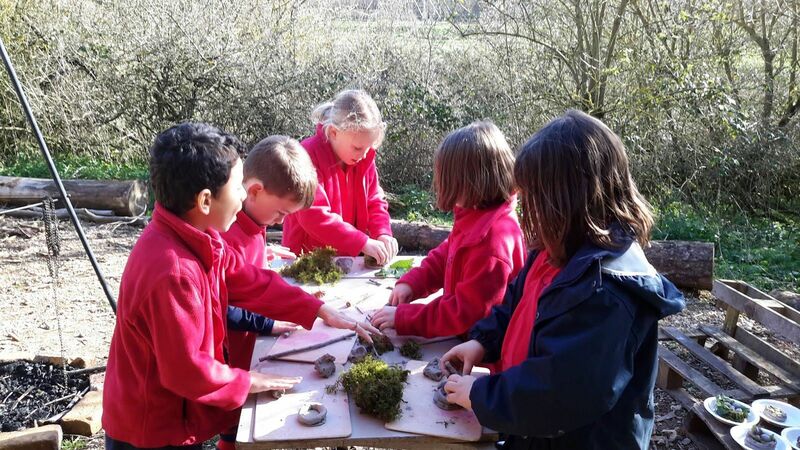 Finally, Year 3 have taken us back through the centuries to the time of the Celts, which culminated in a wonderful day spent exploring a day in the lives of our ancestors in our very well kitted-out Forest School! Lower School children and staff have had such a busy term and we can’t believe we have a limited time left with the children before they move on, as we still have so much more to achieve. Next term’s plans are coming together to make it a ‘golden’ term with lots of teaching, learning and fun from the last 50 years. Today the children have been reading the story of 'Togg and Leftover' which is about a caveman that finds an egg left over from the days of the dinosaurs. Miraculously, the egg hatches to produce a dinosaur baby! Over the next few weeks we will be acting out the story in the forest, pretending to hatch our own baby dinosaurs and build shelters for them. Today we learnt about dinosaurs and how they were adapted to survive. We learnt about carnivores, herbivores and omnivores. 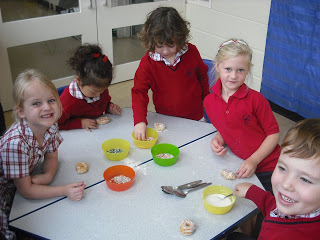 We made some dinosaurs out of clay eggs, produced some dinosaur collage and learnt all kinds of dinosaur facts. TOGG AND LEFTOVER IN THE FOREST! 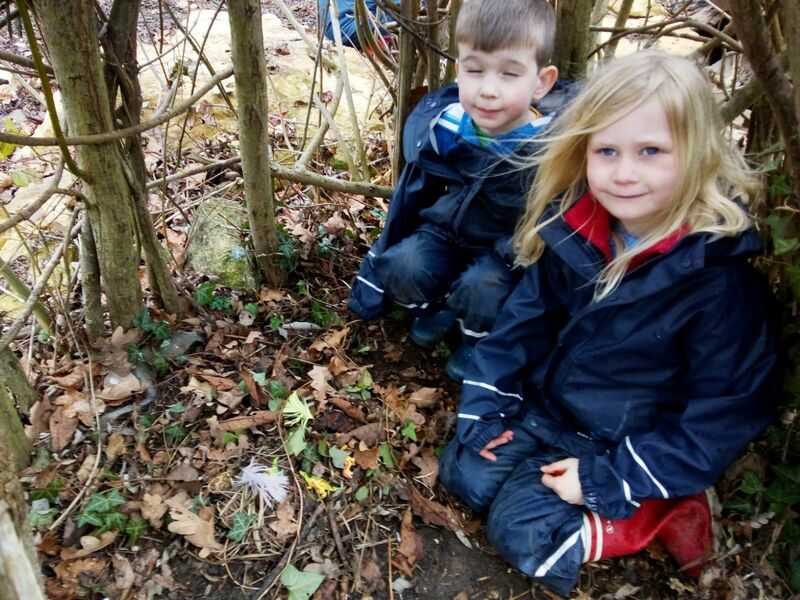 The children had a wonderful time in the forest last week searching for baby dinosaurs that had miraculously hatched out in our wood. We fed them on apples and gave them water whilst making them cosy shelters to sleep in overnight. The forest is bound to be like a scene from Jurassic Park in the next few weeks as our dinosaurs grow! What a fun and exciting topic. We are loving getting stuck into these great stories and getting creative designing theatres and puppets. Watch this space for shows in the near future! Jack and the beanstalk; acting the story in preparation for writing our own versions. What a treat we had when Judy Brulo, children's author came to visit us. She introduced us to Brack the brachiosaurus character in her books and we had lots of fun explore this character and his adventures. Congratulations to Alexa and Maisie who were presented with a signed copy of her new book 'Brack is Back'. What a super fast week we have had in Year 2. We have been fire-lighting, running a tea room (I highly recommend the Latte) and following a Braille Trail in the Woods. We also all had the opportunity to experience Shabbat as we have been learning about Judaism.We were lucky enough to share and taste the Shabbat bread which was truly delicious. We also looked at all the other artefacts that are used during Shabbat. We have had a fantastically creative week! We have made some beautiful coiled nests - with treasures that we found outside. We also looked at the artist LS Lowry and have drawn different buildings using the same style that he did in all his fabulous landscapes. 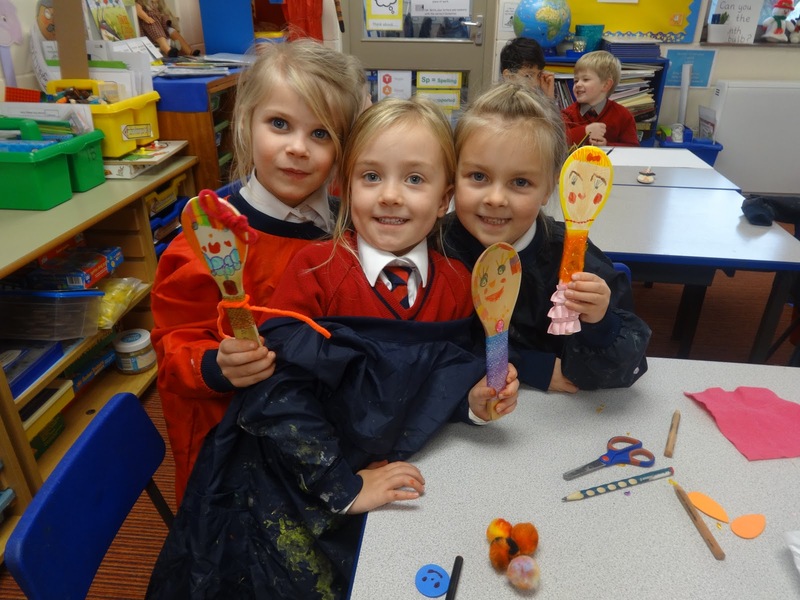 This week we had a few special visitors from Pre-school. These weren't normal visitors as these were 'Super heroes of Re-cycling'! As you can see from the photos they knew what they had come for and they rummaged through our re-cycling bin to check that we were using it correctly. Unfortunately there were a few rogue used tissues but apart from that I think Year 3 passed without too many faults! What a fabulous day we spent in the woods on Monday! The long anticipated Celt day didn't disappoint. The children (tribes) had a wonderful day whittling spears, making flatbread, thatching a roof and made pendants. 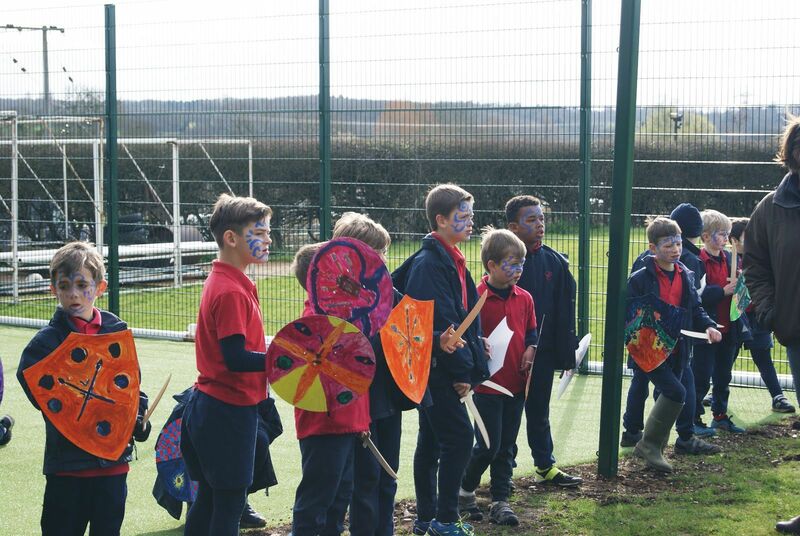 In the afternoon they practised their warrior training skills and made some very fearsome noises as they charged towards the Romans! The fantastic team in the kitchen created a delicious chicken stew - of course with no potatoes - and everyone commented on how tasty it was including the porridge!